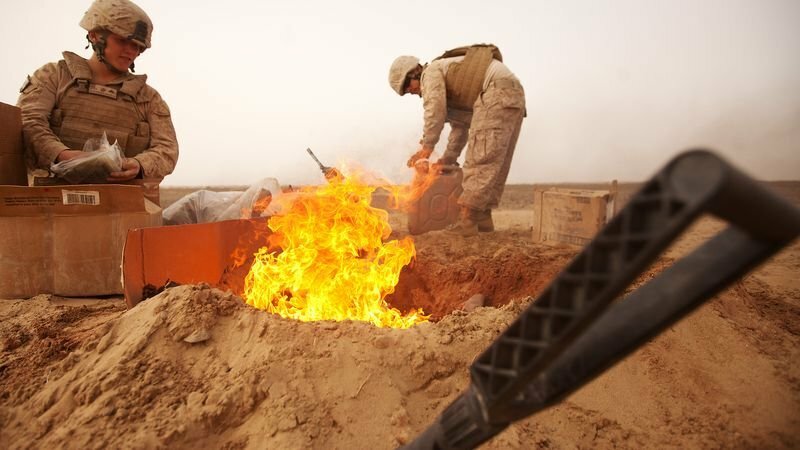 In a case that could prove helpful to U.S. veterans of the Iraq and Afghan wars, a judge in the U.S. Department of Labor’s Office for Workers’ Compensation Programs found that open-air burn pits could have caused a military contractor’s illness, and therefore her employer and its insurance company are liable for her medical bills. Many current and former service members have reported serious ailments they believe are related to burn-pit exposure and have been met with resistance as they’ve applied for VA disability benefits for their conditions. At Marcari, Russotto, Spencer & Balaban, we are determined to see all veterans get the disability benefits they are entitled to. We greet this ruling as very good news, which should help us help our clients. The VA benefits attorneys at Marcari, Russotto, Spencer & Balaban have more than 200 years of combined legal experience. If you or a loved one is having difficulty accessing benefits for a burn-pit illness or any other disabling condition, call 866-866-VETS or contact our office online. I was stationed at Balad, Iraq and FOB Warhorse in Baquba, Iraq NE of Balad where burn pits were the norm. I’m a DOD civilian government employee. I was also station in Afghanistan on three tours. All were subject to burn pits. I recently have been seeing my pulmonary specialist for a cough I can’t get rid of but he has no clue about the burn pits. We tried allergy testing but that was inconclusive. The cough remains. When I approach the government union on the issue as to why we government employees were not included in the VA database I was told I had to go through Workmen’s Compensation. I was also told I received special training before I left overseas and that was a straight out lie. No one ever told me I was going to be living within close proximity to a burn pit. I’m not sure what to do since my specialist has no clue what that mean “Burn Pit”. I also am 40% disability with the VA after 23 years of military service. I have Ankylosing Spondylitis, de-generative knee and Tinnitus. I also have Crohn’s disease which I applied for disability for but was denied. The two diseases Ankylosing Spondylitis and Crohn’s Disease are related due to autoimmune deficiencies. My none-VA specialist explained that in a letter to the VA but it was still denied. These are the facts and I have all the documentation to prove my locations and my medical situation. I believe my disability should be raised the reflect the rating of well over 40% but also I believe I was and continue to be affected by the burn pit exposure. I brought this up the Defense Contract Management Agency HQ health and safety director but was told there was nothing but workman’s comp if I chose to submit a claim. The Union was also contacted but failed t press the issue with DCMA. I’m not sure if this is something you may be able to provide guidance on but there are at least three other individuals that have also deployed with me. They too are interested. Thank you. One of our Veteran’s Disability Paralegals will be contacting you. Your office reached out to me before but you stated that Djibouti and their burn pits were not included. VA’’s burn pit registry clearly includes Djibouti and they have qualified me to take their survey. Do you now or will you ever include those stationed in Djibouti? We would be happy to discuss your burn pit claim in more detail. Please call us directly at 866-866-8387. Thank you.